Hula Hooping Mom: You Can Be A Holiday Angel for Homeless Youth in Southern Nevada! 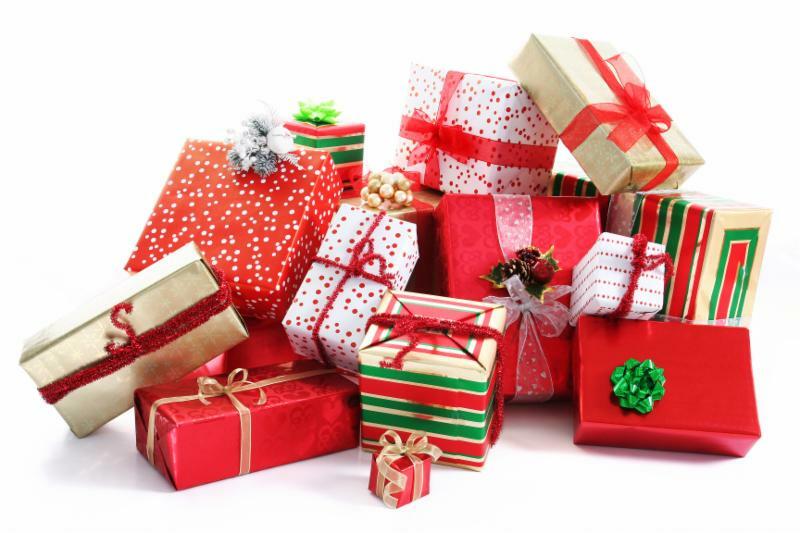 You Can Be A Holiday Angel for Homeless Youth in Southern Nevada! You Can Help Make This A Brighter Holiday For Thousands Of Homeless Youth Here In Southern Nevada! Host Your Own Holiday Drive! Hosting a holiday drive can have a bigger impact on homeless youth this holiday season. Host a holiday drive in your office, school, or church and collect items from our NPHY Holiday Wish List. Click here to download their Holiday Wish List and contact Cassandra at events@nphy.org to get signed up. Want to make a difference from the comfort of your own home? 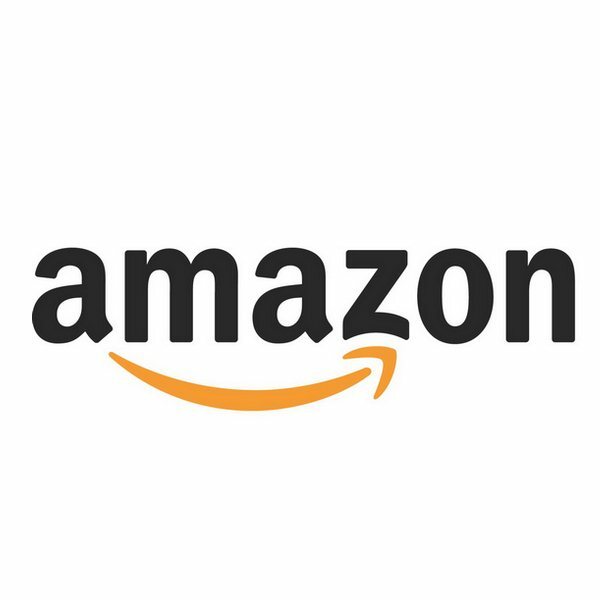 Purchase a gift card or gifts for homeless youth through NPHY's quick and easy Amazon Holiday Wish list on Amazon.com. Once items are ordered, they will be shipped directly to NPHY's Drop-In Center. Click here to browse their Holiday Wish List and make your donation today! Join their First Annual "It's a Wrap" Holiday Block Party! They LOVE their supporters and because of that they wanted to bring everyone together this year for a very special celebration, NPHY's Inaugural "It's a Wrap" Holiday Block Party. You are welcome to bring your family, friends, and co-workers to join in the festive day filled with holiday cheer, a coffee and hot chocolate bar, a bake sale, games, and fun, all while volunteers help NPHY sort and wrap gifts and create holiday cards for homeless youth here in our Drop-In Center. 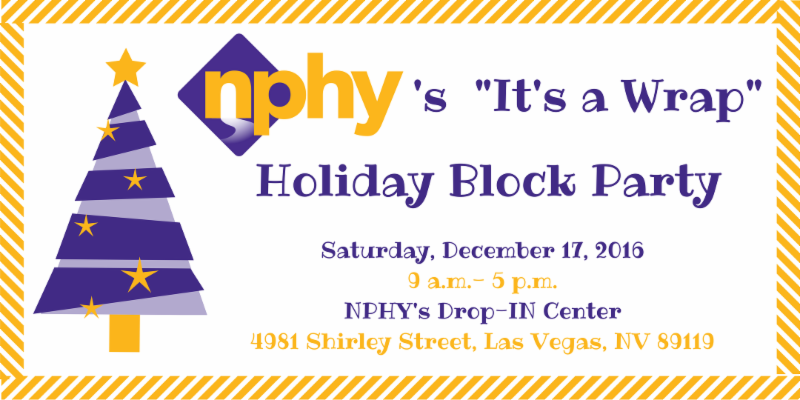 To find out more about NPHY's "It's a Wrap" Holiday Block Party, or to RSVP, please go to www.nphy.org/wrap or call 702-383-1332. Click here to download our Holiday Wrap Block Party flyer and be sure to spread the word! Thank you for making the holidays extra special for thousands of youth who are enduring homelessness right here in Southern Nevada. If you have any questions, please feel free to contact them at (702) 383-1332 or events@nphy.org.